Gender equality is central to the three CGIAR strategic objectives of reducing poverty, improving food and nutrition security, and working towards sustainable, resilient agro-ecosystems. 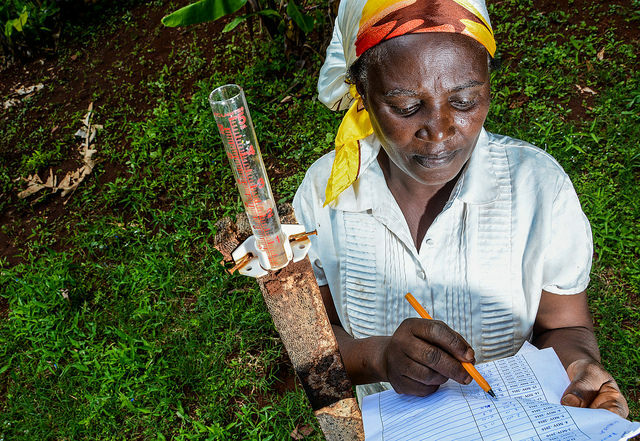 Adopted in 2012, the CGIAR system level gender strategy set the agenda for how all new global CGIAR Research Programs (CRPs) would integrate gender into research activities. During the first phase of its Research Programs, CGIAR’s approach to addressing gender inequality in its research had two main goals. The first was to build capacity to address the gender dimensions of agricultural research and development across the CGIAR System, and the second was to integrate gender into individual CGIAR Research Programs (CRPs). The CGIAR Gender and Agriculture Research Network, established in 2012 was a cross-CGIAR Research Program community of practice for researchers, principally social scientists, whose work focused on or included gender. As of 2017, the Network has evolved into the CGIAR Collaborative Platform for Gender Research hosted by the CGIAR Research Program on Policies, Institutions and Markets (PIM) and coordinated by the Royal Tropical Institute (KIT) in Amsterdam. The working paper series, developed in 2016, was intended to (1) provide members of the community of practice with a quick entry into a topic of general interest and importance through a literature review commissioned by the Network and (2) facilitate members’ knowledge sharing about their work in progress through the circulation of such papers before full publication. Working Papers, published only in electronic format, contain preliminary material and research results. Papers are reviewed prior to circulation and the goal is to stimulate discussion and critical comment. It is expected that these working papers could eventually be published in some other format with revised content. The first in a series of working papers to be launched by the CGIAR Gender and Agriculture Research Network, and prepared by Smriti Rao with contributions from the CGIAR System Management Office, and the CGIAR Research Program on Policies, Institutions and Markets. This paper aims to guide the development of new indicators useful for seeking sharply focused feedback on a specific innovation in an agricultural production process. Specific innovation refers to the introduction of a new crop variety, livestock management regime, cropping system, resource conservation practice, or marketing arrangement, for example. Use of any of these can be constrained by gender inequality and can also alter it. Read the blog post here. The CGIAR Gender and Agriculture Research Network’s Gender and Breeding working group convened a workshop on “Gender, Breeding and Genomics”, which was held in Nairobi, Kenya, 18-21 October, 2016. The goal was to increase the relevance and benefits of plant and animal breeding for resource-poor rural women producers in low-income countries, especially in Africa, and to close the existing knowledge gaps that currently hold back breeding programs from becoming more gender-responsive. The work presented in this paper is based on the authors’ joint contribution to that workshop. These working papers were prepared for final publication for the CGIAR Gender and Agriculture Research Network by the CGIAR Gender Network Coordination Team at the CGIAR System Management Office with support from the knowledge sharing support team of the International Center for Tropical Agriculture (CIAT). This blog was written by Martina Mascarenhas, former Coordinator of Communications and Knowledge sharing for the CGIAR Gender and Agriculture Research Network.